I’ve heard nothing but good things about The Lion King, so I absolutely agreed with my wife when she said we should try to see it after tickets became available at Peoria Civic Center. 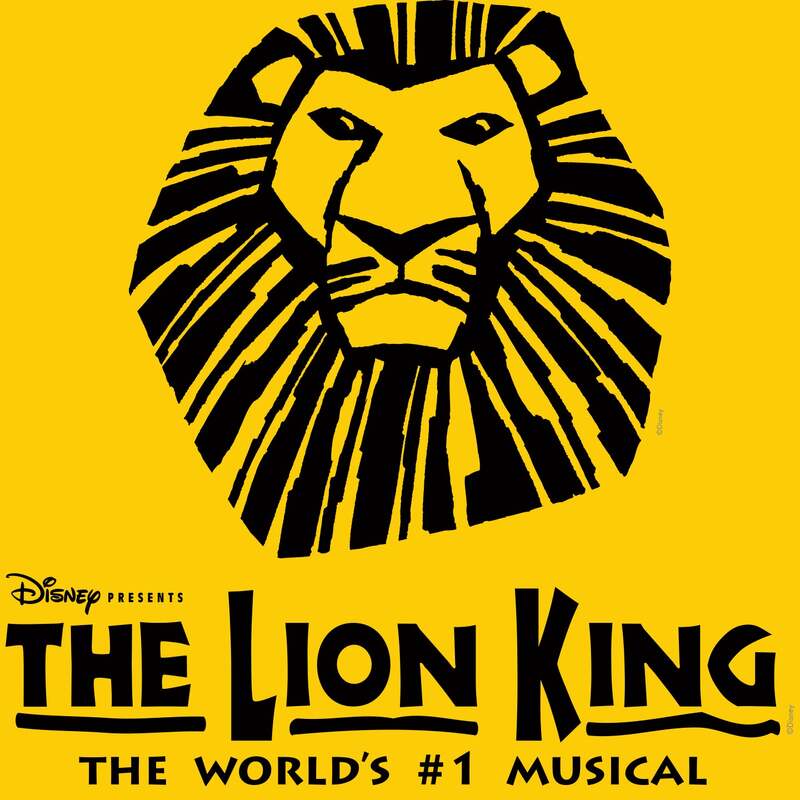 After all, according to LionKing.com, over 90 million people worldwide have experienced the world’s number one musical over the last twenty years — surely they can’t be wrong about its quality? Our day finally arrived, so after church we hit the road headed for Peoria. Though forty-five minutes from our house, the drive to Peoria is always incredibly quick. We zipped along Interstate 74, crossed over the Illinois River, and we were there. I’m pleased to say that parking could not have been simpler. We pulled into the lot about thirty minutes early with many spaces still available. I can’t complain about the fee either — just seven dollars! The walk to the Civic Center took maybe … three minutes. Once we entered the facility, we moved rapidly through a security check, and then we were in! With a ten and six-year-old child in tow, I felt elated by the ease of the entire adventure up to that point. I was almost giddy when we took our seats. I love it when venues are easy to negotiate, and Peoria Civic Center proved about as convenient as possible. Because we were so early, we used the bathrooms before getting some drinks and cotton candy — you know, the basics. The theater itself impressed me, too. I found it visually appealing and entirely comfortable. We were in the twentieth row, about right in the middle, which afforded us a wonderful view of the stage. My wife did a fantastic job selecting our tickets! As for the show itself … those 90 million other people weren’t wrong! I loved it, my wife loved it, and my children loved it. If you’ve seen the movie from 1994, you know the basic plot, dialogue, and songs — it doesn’t deviate much from the source material. However, the singing, the dancing, the costumes, the makeup, the puppets, the sets, the props — they’re amazing. Seriously. You might remember that my main complaint regarding Hamilton centered around the fact that, visually speaking, not much happened. That’s not the case with The Lion King. The senses are constantly stimulated between the nonstop music, movement, and changing scenery. I don’t want to sound utterly devoid of objectivity, so I do have a few criticisms. Namely, I didn’t think the acoustics were exceptional in the theater. I found myself struggling to understand the dialogue at times because the audio didn’t strike me as terribly crisp. This wasn’t a problem during the singing, but the speaking generally sounded a little garbled. This in no way diminished my enjoyment of the show. Even if I didn’t understand every word being said, the physical action, facial expressions, and my general knowledge of the movie more than informed me as to the happenings. I also noticed that the dancers weren’t quite synchronized with each other. A few were just a second ahead or behind the others. Do I care? No, not in the least. I can’t dance, know nothing about the art, and am regularly in awe of those with the talent. Nonetheless, I wanted to share my observations. If you’re even mildly interested in The Lion King, I highly recommend you take a chance on it. I know you won’t be disappointed. Hurry, though. I believe October 13th is their last date. If you live in the Central Illinois area, you can see what’s available here: Disney Presents The Lion King (Touring) Tickets at Peoria Civic Center. On October 7th I had the good fortune to spend the better part of the day and night learning from Elie Wiesel, acclaimed humanitarian and author of Night (among many other works). I first attended his question and answer session at Milner Library from 3:30 to 4:30. It was soon obvious that Mr. Wiesel, even at his advanced age, was by far the smartest person in the room. He answered questions for a solid hour, and he did so gracefully, articulately, and honestly. While his voice was frail, his words were powerful, and I think everyone in the room was deeply moved by his frank responses to a series of thoughtful questions. Some paraphrased highlights among those answers include the fact that he would not comment on who he endorsed for the next presidency, but he added that he found American politics getting uglier with each passing decade-particularly the last thirty years. He said he does not forgive Nazi Germany for the Holocaust, but he would always forgive an individual should they apologize. He said he had more sympathy for the children of killers than anyone else, because they often carry the burden of their parents’ guilt. He said that he did not think the world would ever learn to be peaceful, because if it hadn’t learned from the atrocities of the Holocaust, what could possibly make a difference now? However, he amended that statement by saying we must never lose hope, and we must always strive to make a difference for the children in the world. He emphasized the need to protect and care for humanity’s children, and then quoted Scripture about never standing idly by. I’ve done a few question and answer sessions myself in regards to my writing, and I can tell you firsthand it is both exhausting and stressful. You must keep on your toes with your impromptu responses and hope you don’t come off sounding like an imbecile. Mr. Wiesel’s probably answered the same general questions a thousand times, but all of his replies sounded genuine, original, and produced specifically for that person asking the question. He never appeared nervous, and he truly had a calming presence that I found quite unique. At the end of the question and answer session, they asked that we all remain in place while he was escorted out of the room by security. I would learn later that evening by his candor that many in the world find his honesty threatening and would seek to harm him. We arrived at Braden Auditorium in the Bone Student Center around 6:15 p.m. for his 7:00 p.m. address. The center teemed and we were lucky to find seats in the very last row of the main level. As we sat for forty-five minutes, people kept flooding in, and my heart burst with pride in the people of Central Illinois. So many showed up to listen to this man, there literally weren’t enough seats in the mammoth auditorium which can hold almost 3500 people. Can you imagine? On a rainy Tuesday night? My faith in people’s respect for intellectualism quadrupled that night. When Mr. Wiesel appeared on stage, he sat at a simple table with a white cloth covering it and a single microphone. His security flanked him on either side in the shadows, for he had a single spotlight shining down upon him. The auditorium remained well-lit, so everywhere you looked you saw thousands of people hanging upon his every word. They announced Mr. Wiesel would sign books for half an hour, but with the thousands of people there, we knew it would be futile to even try. I regretted that I wouldn’t get a copy of Night signed for my three-month-old daughter-one day to be a gift-but I understood that a man of his age who speaks so openly against those who think nothing of killing may not want to interact with the general public at a relatively unsecure location for too long. In the end, even though I didn’t get a book signed to her, I can one day tell Emma all about the day Elie Wiesel came to Central Illinois, and that’s something to which I greatly look forward. Again, words cannot describe how proud I am of the people who came out that night to see Mr. Wiesel. When I think about one man who’s made such a difference in this world of ours encouraging each and every person in that room to resist the urge to stand idly by, it really fills my heart with joy. Learning from Mr. Wiesel was something I’ll forever cherish, and I thank him for coming to Illinois State University. I also believe Toni Tucker of Illinois State University’s Milner Library deserves tremendous credit for bringing him to us as well. It had to have been tremendously stressful for her, but she pulled it off fantastically. Well done, Toni! It has not yet been even twenty-four hours since listening to Mr. Wiesel, so my brain is still bustling with excitement. If there’s anything you’d like to know-anything I may have omitted-please don’t hesitate to ask a question in the comments or email me at scottwilliamfoley@gmail.com. So, lo and behold, we had a major artist visit Central Illinois! When my wife and I had the opportunity to see John Mayer at the US Cellular Coliseum in Bloomington, how could we resist? Let me get this out there from the get-go, I’m not a huge John Mayer fan. I’ve never disliked him, but it’s been a long time since I sat down and listened to any of his CDs. That being said, just the excitement of being at a concert with a Grammy winner performing had me hitting on all cylinders, so I think Mayer would have had to really offer us a terrible performance to disappoint, which he did not. In fact, I was surprised at what a good showman he was. Also, he struck me as very genuine and personable with his audience. He made a point several times to comment on the energy in the Coliseum, and he was right. He had a very appreciative and enthusiastic crowd. Hopefully that news will get around and we’ll see more big names in the heart of Illinois. He’s a fine singer, but for me, his songs get a little old. They’re very mellow, which is awesome if you’re reading a book or trying to have a little romance, but I found myself at time wishing he’d move along to whatever song he had planned next. But, I can tell you for sure what was certainly not mellow-his guitar playing! I’ve heard Mayer was a pretty good guitarist, but let me tell you, he is tremendous! I couldn’t believe the things he was doing with it, and he gave us a little funk, a little rock, and a bit of everything in between. I just wish he’d take some of that raw energy and put it into his songs, but alas. Of course, his back-up band was very talented, and Mayer made a point of introducing them and giving them each a moment in the literal spotlight. He also had a giant set of screens behind him that would light up in various colors as well as a pretty cool light show. Again, he talked with us quite a bit, and he really was pretty funny and, again, very genuine. He even got tongue-tied on several occasion and made light of it. He signed all the posters in the front row, talked about two little girls that he thought had to have been his biggest fans in the whole US, and made a point to try to acknowledge all the signs he could read in the audience. Like I said, a great musician, but I would love to see him take his guitar skills and apply them to a little edgier music. But hey, he’s his own man, and I commend him for doing it his way. His opening act was a guy named Mat Kearney, and man, would I hate to be an opening act. First of all, he was very good. But, you know, people were still milling in during his entire set and getting beer and talking to each other; in other words, just generally not paying him any attention. I was on the floor, row 32, and I stood, along with the rest of the floor, during the entire Mayer set. We all sat for Kearney. Poor guy. Especially because, like I said, he really was pretty good. Anyway, finally, he played his last song, and boom!, everybody recognized it. Then you saw all the camera phones flashing and people started clapping. Ah well, that had to make him feel a little better. So, all in all, good show, great crowd, awesome guitar playing, and a lot of fun! About once a year, I like to remind my friends that there is a superb book out there they’ve never read. It’s by a terribly talented man from my neck of the woods named Ken Bradbury. The book is a short story collection called homerville, and if you grew up or live in Central Illinois, you’ll love it-no doubt. It’s from a small publisher, but don’t let that scare you off. We need to support our living artists who are still waiting for a national audience, and this man is a great one to back. I hope you enjoy it! Here’s a link to at Consortium Publishing. Here’s a link to it at Amazon. There, now you have no excuses!